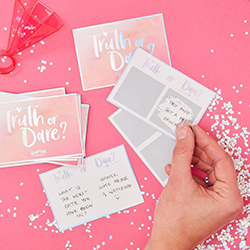 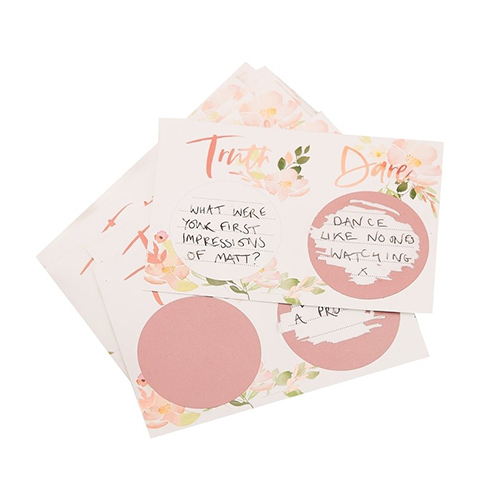 Over the years we've seen a lot of dare cards but these ones combine some great features, you can create your own truths and dares, as well as then being able to cover them with scratch and reveal stickers so nobody knows what they're going to get. 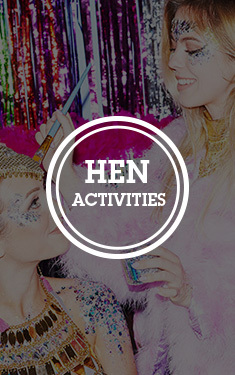 You can write all of these yourself or you can get the group members to all come up with some, knowing that they might end up having to do their own dares! 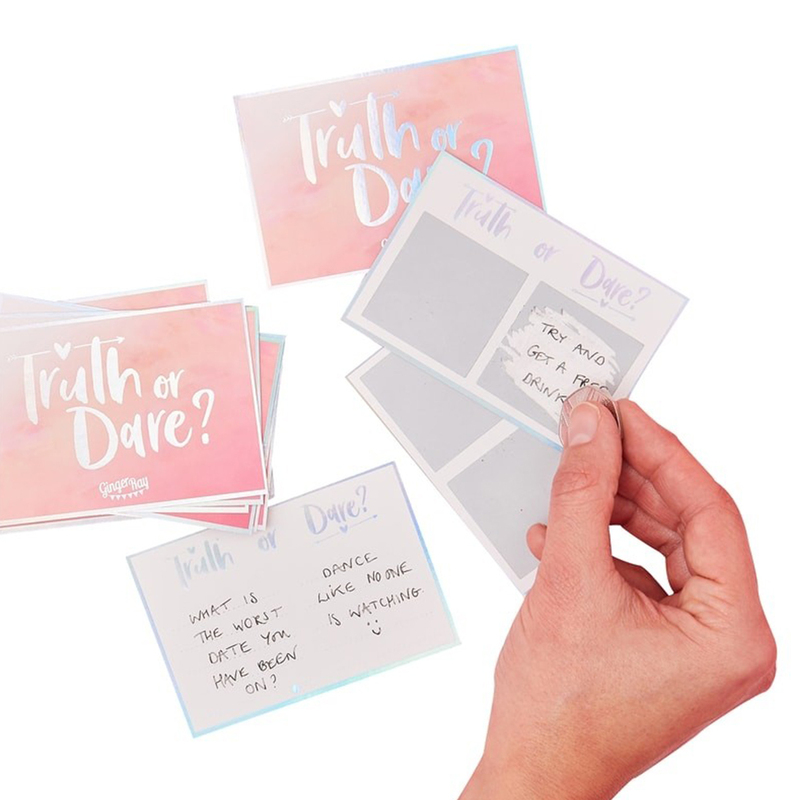 There are 25 cards in the pack and each one has a truth and a dare on it, at just under 10cm x 7cm these should fit in your pocket or handbag making them a really handy idea to take out on the town. 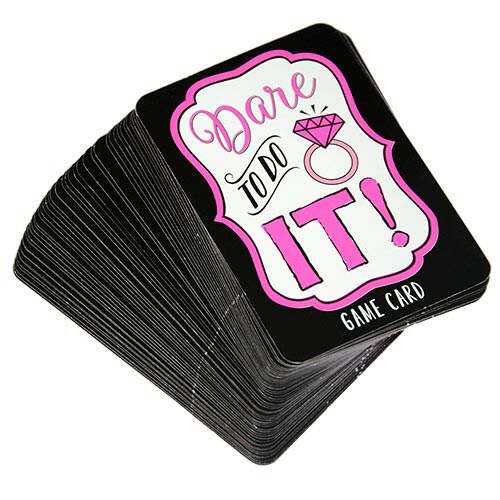 This item is also a part of our Bride Tribe collection.